Reviews are a great tool to showcase & prove your skills & reputation online. 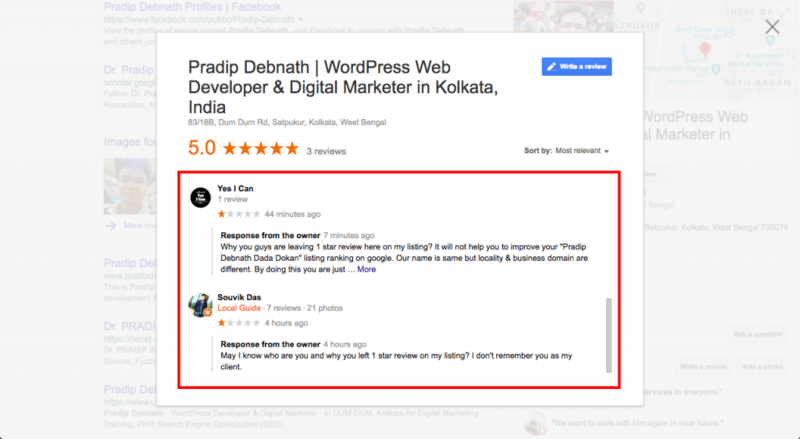 Reviews on your Google My Business listing is without any doubt is the best way to showcase your business and improve your SEO. But there are many cases where you have to deal with fake reviews on your Google business listing. Sadly, fake reviews are a real thing on Google where anyone having a google account can post reviews anywhere. 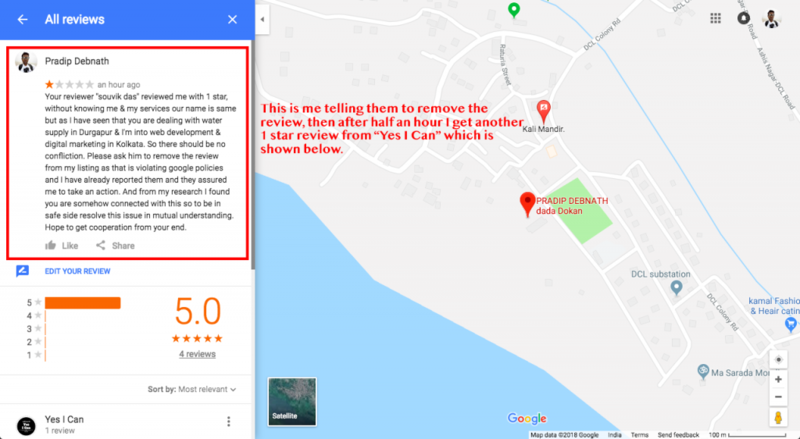 Despite Google policies, people often post fake reviews on other businesses to lower their reputation or sometimes (rarely) by mistakenly. Most of the fake reviews I came across or known before was from competitors or ex-employee who have been fired from the organization. But recently I received (and removed) another kind of fake reviews on my personal listing on Google, which is confliction of a name. 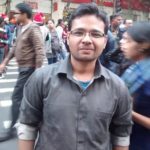 Pradip Debnath (my name) is a very common name in this part of the world. And I have created my listing on Google less than 2 months ago. 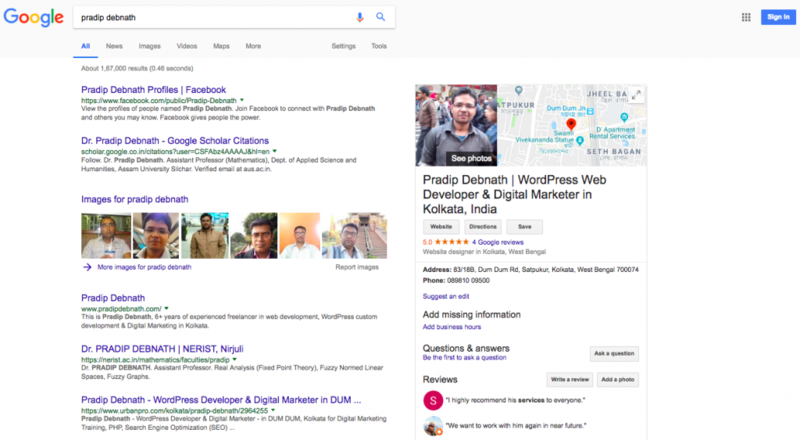 Before my listing, there was showing another listing (Pradip Debnath Shop) was shown on Google if searched by my name (Pradip Debnath) on Google. After creating my listing there was now showing my listing when searched by “Pradip Debnath”. In between this time, there was another listing created by name of “Pradip Debnath dada dokan”, which I wasn’t aware of. But last Sunday morning suddenly I received a notification of a 1 star rating on my listing. Then my first reaction was, it is maybe from any competitor and after some research, I came to know that no it is from another business with the same name from another city of my state. Within the next few hours again I get another 1 star rating from their loved ones. When I got the first fake review, I responded instantly by asking the identity of the reviewer & his connection with me or my services. And I didn’t get any response from the fake reviewer. I know it is frustrating to have unexpected bad reviews from fake people. But you should be calm & keep patience while responding. In this way, other people when see your reviews they can understand that you have professional ethics & you really care about your clients. You want to resolve the issue if there is any. Before taking any action do your research thoroughly to find out who are these fake reviewers actually. Are they your competitor, ex-employee, random people mistook your business as others or just any random person trying to lower your reputation? If any random person, then what is their motive behind this? In my case, they are from another business by the similar name of mine and they wanted to lower my ranking and improve their listing ranking on Google while searching by my name. 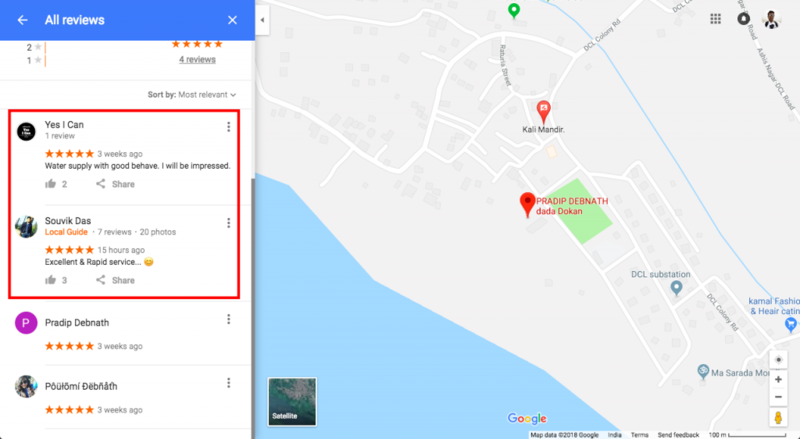 At first, I got 1 rating from one of them and from my research, I found this listing and connection with the fake reviewer. Then I told them to remove it as it is violating Google policies & by doing it will not fulfill their needs. But they became more aggressive and after few hours they again left another 1 star rating on my listing. Now when I got enough proof that these reviews are the fake ones and violating Google policies, I flagged them as inappropriate. On each review, you can find 3 dots on the right side or a flag sign, where you can find the option to flag the review as inappropriate. Do it by yourself and tell others to do the same. Then with all my proofs, I reported on Google. 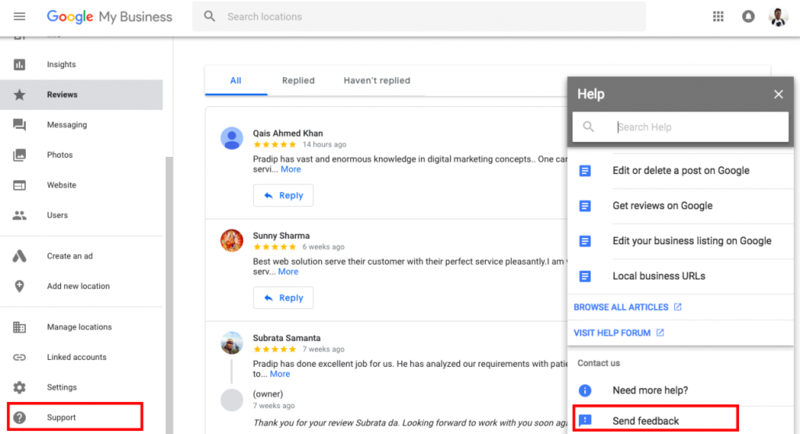 You can do this from your Google My Business Listing overview panel. Click on support then help dialog box will appear from there click on send feedback. Here you can write to Google and also can include screenshots. After reporting on Google you can also tweet to Google Small Biz Twitter account to faster your fake reviews removal process. This step is not mandatory as per my experience. First 3 steps are enough for removal if there is more than enough proof of violation of policies. Within 2 days all fake reviews were removed from my Google listing. After it gets removed from my listing, I also deleted my review from that other business listing where I reviewed to let them know about my awareness of the issue and their engagement in it. Google always tries to help small businesses grow on their platform. That’s why they improve their algorithm continuously and review their policies regularly and work on it make a healthy environment for everybody. Don’t harm anybody & don’t let others harm you on the internet, Google God will take care the rest. What is WordPress Child Theme & How To Create One?